Granite Peak’s Base Village features not only the original Historic Stone Chalet but shops, a bar and grill, rental places, and demo shops. Numerous hotels, B&Bs, rental condos, and more dot the area around Granite Peak and plenty more to see and do throughout Wausau. They also offer Family Festival packages that include horse drawn wagon rides, free children’s activities, free Saturday night skiing and Saturday night bonfire and fireworks. 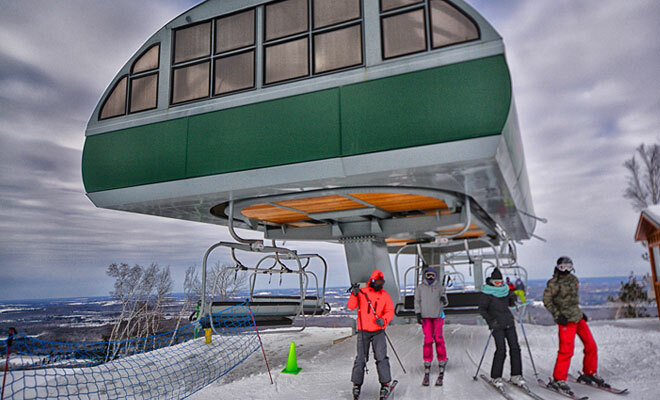 You can see Rib Mountain from far and wide; I-39, U.S. 51, and Highways 29 and 52 all bring you to Granite Peak so you can enjoy some of the best skiing in the Midwest.